Endless crystal turquoise water beguiles the senses and invites you to explore vibrant coral reefs beneath its surface in this quintessential island paradise. 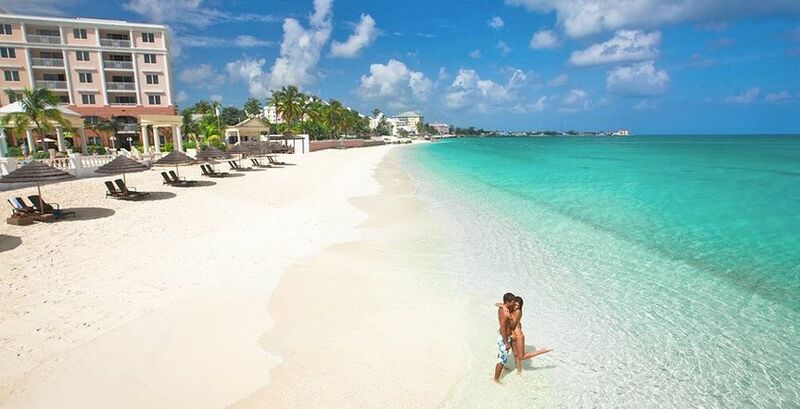 Enjoy a stay at Sandals' all-inclusive resorts in the Bahamas - with its famed gaming establishments and ultra-luxurious shopping venues, as well as downtown Nassau's pastel pinks and blues and its bustling straw market, the Bahamas perfectly mingles the sultry island rhythm with a cosmopolitan sophistication to create the best of both worlds. Escape to one of our premier all-inclusive Bahamas resorts to experience the height of luxury in an unforgettable exotic getaway. Imagine a sanctuary so alluring the Duke and Duchess of Windsor made it their epicenter for high society as the famed Balmoral Club of the 1940s. 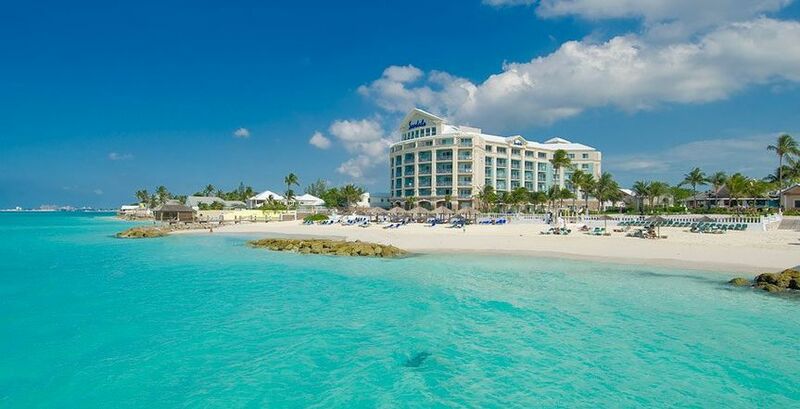 Today, transformed into the Sandals Royal Bahamian, it remains an oasis of European grandeur where guests are still treated as royals. 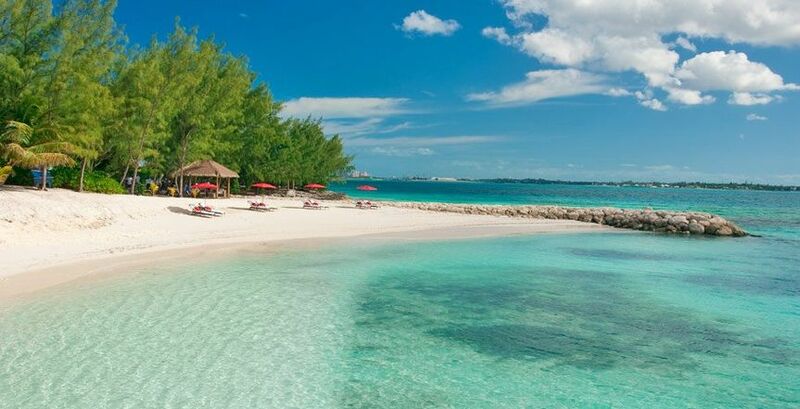 Voted "Top Spa Resort" by readers of Conde Nast Traveler, Sandals Royal Bahamian is considered to be the most elegant all-inclusive Nassau resort in the Bahamas. Seductive alabaster sand beaches and crystalline waters embrace tropical gardens and opulent suites—some the size of private villas—complete with every imaginable amenity, even your own butler. 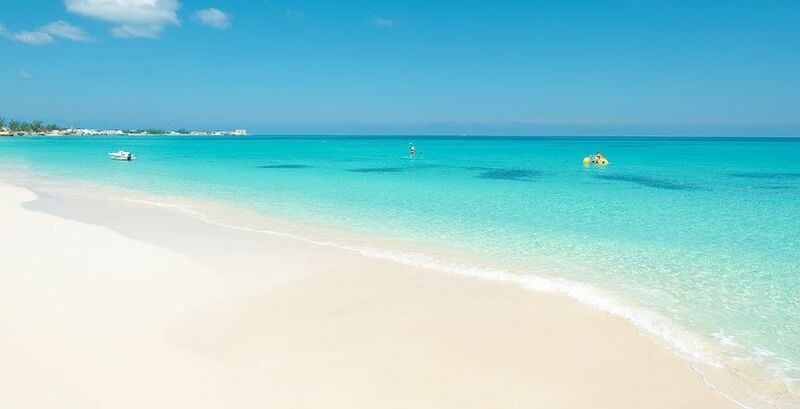 Deep within the idyllic waters of the Exuma, Sandals Emerald Bay brings unprecedented luxury to the easy-going rhythms of the Bahamian Out Islands. 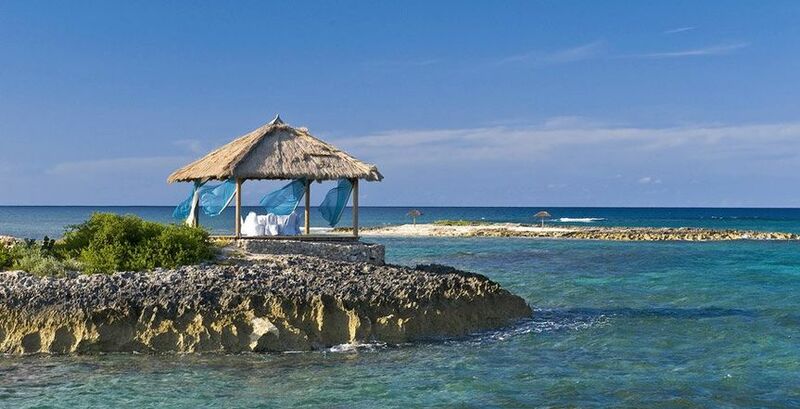 This privileged enclave is designed to ensure you will feel as if you are the only ones there, where service reigns supreme and Bahamian-style architecture of elegant villas and suites harmonize with nature. 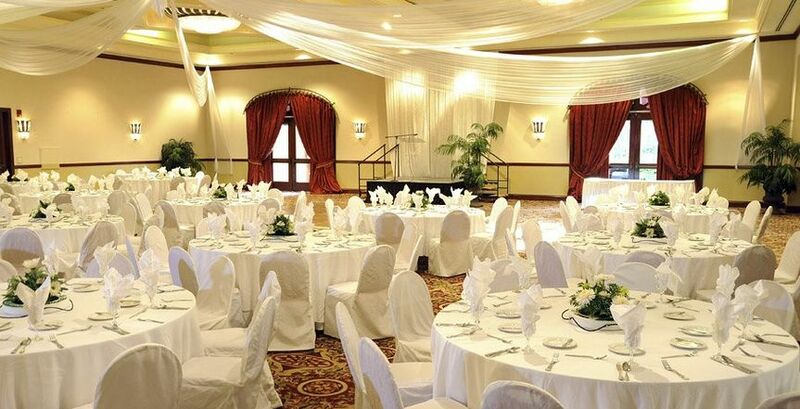 *A Beautiful Beginning wedding is free with stays of 3 paid nights or more in all room categories. 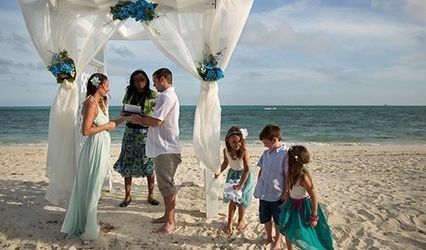 All weddings are subject to mandatory marriage officiant and government documentation fees, which vary by island, and must observe the respective island's residency period. Offer may be changed or withdrawn at any time. 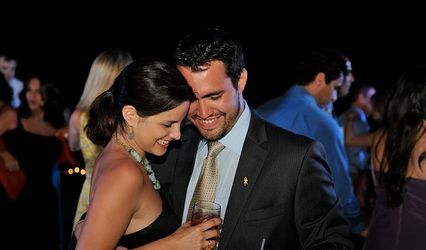 A wedding at Sandals has its perks! Receive up to $700* credit when you Test Drive Your WeddingMoon and book a group of 10 rooms or more, plus receive a $1500* gift towards select wedding options! *Certain restrictions apply. 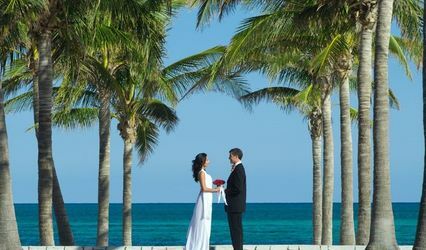 Visit http://www.sandals.com/weddingmoons/groupWeddings/ for important terms and conditions. ^Bride will receive a complimentary "Simply You" manicure and Groom will receive a complimentary 30-minute "Feet First" massage. All complimentary spa and salon services will be subject to a 12.5% service fee of the original value, and must be paid at the time of service in the spa. We went to Sandals Bahamian for our honeymoon and enjoyed every minute of it! 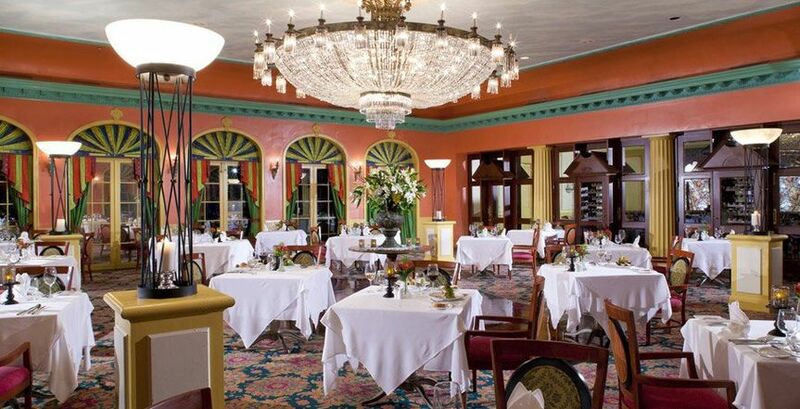 Great food and relaxing atmosphere! The private island was amazing! We went here for out honeymoon and we had a blast! The drinks were awesome and so were the people! very professional place. all employees would say hello and good morning when they passed. food was great. entertainment was great. will use them again for another vacation.